The human mind is a wanderer at heart which is why so many of us love travelling and exploring new places. Some of the most popular tourist destinations in Asia include Thailand, Singapore, Malaysia Dubai, etc. These places attract thousands of people for tourism annually which constitutes a huge part of the tourism revenue. 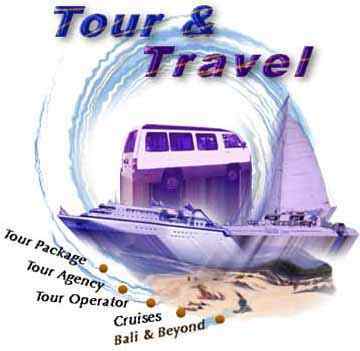 However, most people hesitate to book tours to foreign destinations without a travel agent. After all, planning your trip with the help of an experienced professional is going to ensure a smooth ride with no unexpected hiccups on the way. Moreover, foreign destinations bring with them daunting language barriers which is why hiring a local travel agent is advisable. Thailand is known for its exotic culture, food and exciting tourism arenas like diving, trekking and natural beauty. Apart from this, it also comes with affordable travel packages which provide a comfortable stay and a well-planned itinerary. Another place is Dubai which is the tourism hub of the Gulf countries. Between October and April is an ideal time to visit this magnificent desert city which now consists of phenomenal infrastructure and facilities that would blow anyone’s mind. It would be a good idea to plan this trip at least 6 months in advance in order to avail massive discounts in flight prices. Couple this with advanced hotel booking as well and your stay should be very enjoyable. Malaysia is another must for avid travelers who wish to explore the scintillating Malay culture. With cheap airlines like AirAsia, one can easily jet off to this wonderful locale and bask in the glory of beautiful islands. A budget airline is specifically made accessible to foreign tourists in order to give a boost to the tourism sector. The food is impeccable, ranging from scrumptious street food to exquisite fine dining options. So, what are your plans for the coming holidays?